Is your deck membrane starting to show signs of wear and tear? Keeping your deck in tip top shape is crucial to prevent damage and deterioration. But many homeowners fail to notice the deck-destroying causes until its too late. To protect your home and deck in Coquitlam, here are some of the top reasons you might need deck membrane repair. Nothing lasts forever, including sealant. Just because you have had your deck sealed once, doesn’t mean you never have to do it again. Even the best sealant is going to break down over time. And when it does, exposure to the elements, including rain, ice, snow, and sun exposure can wreak havoc on your decks, requiring membrane repair. At NewPort Dry Deck, our polyurethane decks are built to withstand whatever Mother Nature throws at them. Our membranes form a waterproof barrier between the moisture on your deck and the wood underneath. And because there are no seams and no glued-on pieces, you will never have to worry about moisture seeping into the wood. For complete protection from the rainy West Coast, our decks can’t be beat. Your deck goes through a lot. Whether it is foot traffic, heavy furniture, planters, or power washing, your deck’s surface can get scratched or tear, forcing you to replace it before its time. Not so with NewPort Dry Deck. Our decks are so tough, you can use any brush, cleaner, or power washing equipment you want without scratching or damaging the surface. When you choose our decking solution in Coquitlam, you can rest easy knowing nothing is going to harm the membrane. Is your deck losing its luster? Are the colours starting to fade? Dirt, debris, mold, and mildew can dull the aesthetic appeal of your deck. If you want to maintain the natural beauty of your deck, our polyurethane membrane solution creates a rock-solid seal, preserving your deck’s colour and vibrancy for years to come. Sometimes, deck damage is a result of poor installation. So, if you are thinking about saving a few bucks and going with a cheaper, less experienced Coquitlam deck repair company now, you could wind up having to spend more on deck repairs later. At NewPort Dry Deck, you can rest easy knowing you are getting the highest quality products, service, and customer care in the business. You can’t prevent the rainy West Coast weather—but you can do something to protect your deck from it. Breathe new life into your decks with NewPort Dry Deck and say goodbye to deck membrane repair in Coquitlam. Call Newport Dry Deck at (604) 256-1158 or contact us by clicking here to learn more about waterproof decks and membrane repair. 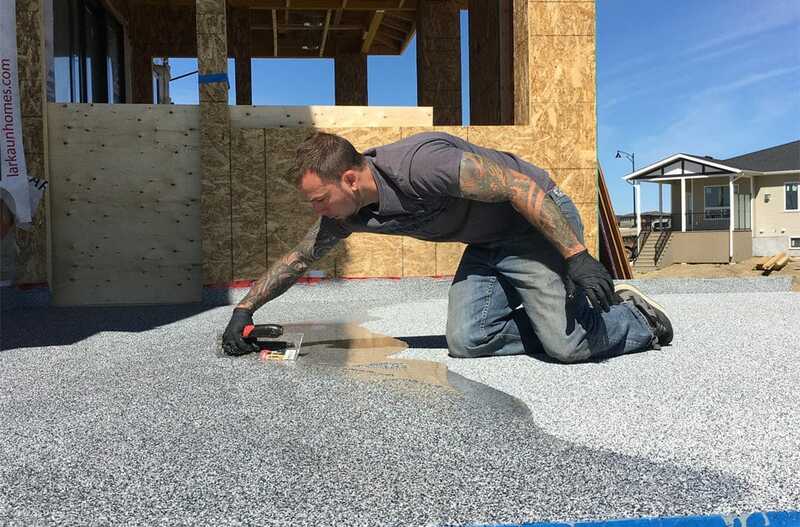 NewPort Dry Deck is a deck repair and resurfacing company servicing Vancouver and all of the Lower Mainland. Our waterproof deck products are tested and proven to outlast our competitors’ products. We back it up with a 20 year limited warranty.